Riyaz’s practice is primarily focused on patent prosecution and analysis in a variety of software, electrical, mechanical, and electro- mechanical areas including acoustic and optical microscopes, artificial intelligence, batteries, digital communications, financial trading, image processing, inkjet printing systems, printed electronic circuits, sensors, and turbofan engines. Riyaz has obtained patents for our clients in the United States, Canada, Europe, Asia, and Latin America. In addition to patent prosecution, Riyaz works with McCracken & Gillen attorneys on freedom-to-operate studies, patent invalidity analysis, pre-litigation assessments of products that may infringe our clients’ patents and trademarks, and technology and patent analysis during litigation. Riyaz strives to understand our clients’ technology and business objectives for developing a patent portfolio. He has worked with individual inventors, startups, mid-size businesses, and Fortune 500® corporations. Riyaz’s patent practice is complemented by his software development and technology analysis background. 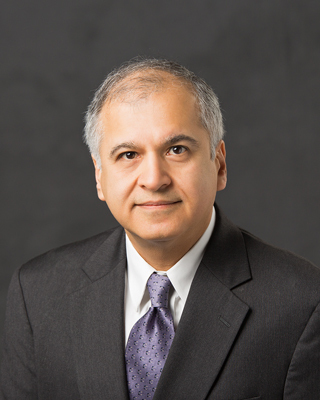 Prior to becoming a patent agent, Riyaz was involved in all phases of software development and technology analysis during his 18-year career at RR Donnelley’s Technology Center in Chicago. His software development experience includes specifying requirements, defining system architectures, programming in a variety of computer languages, and deploying systems to multiple sites. Riyaz was responsible for development of image processing systems for image enhancement and color correction, process control systems, and publishing systems. His technology analysis experience includes evaluating the impact of existing and emerging technologies on Donnelley’s markets and businesses, and presenting strategic technology forecasts to senior management. Riyaz also worked with marketing and operations teams to develop new capabilities for RR Donnelley’s domestic and international customers in the areas of just-in-time delivery of printed collateral materials, variable print and highly automated production of books. He provided equipment and workflow recommendations, and developed detailed financial models to evaluate cost of operations and ROI. He is co-inventor on one issued patent.